Cut cut cut 16 February ’14!! The last time I trimmed my hair was in March’ 13. I was in shock when I looked up the date. This year I need to do better. I’m slacking with my regimen and it’s really showing. My problems are that I have uneven and thin ends. The only way for me to correct it, is to cut my hair. Saturday night before I went to bed. I prepped my hair. – Off course I washed my hair in the afternoon. See my recent post ‘wash day 15 February ’14’.- I already applied Granier Fructis Nutri 3 leave –in when I was done washing my hair. I will say that my hair was about 50% dry in the evening. 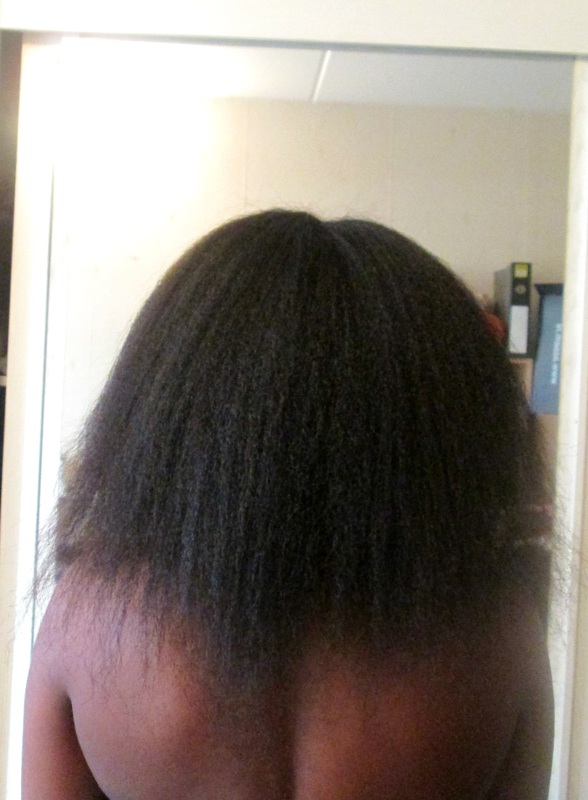 I sprayed Creme of Nature Argan Oil Strength & Shine Leave-in Conditioner all over my hair. I use this leave to give my hair some strength because I planned to flat iron my hair. 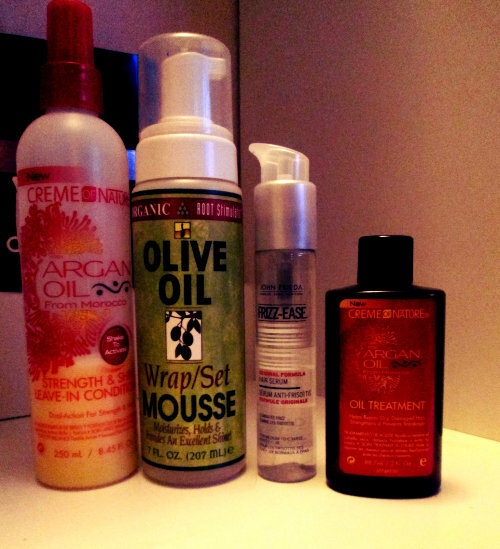 I then used ORS Wrap/Set Mousse. To protect my hair I used John Frieda Frizz Ease serum. Two pumps of this product is just enough. I styled my hair in a low bun, put a scarf on and I was ready for bed. I didn’t apply any heat on my hair. So justgrowalready posted about her goals for the month February and March .. This is perfect .. I’m gonna co-sign .. Lets do this ..